My boyfriend’s name is Levi. 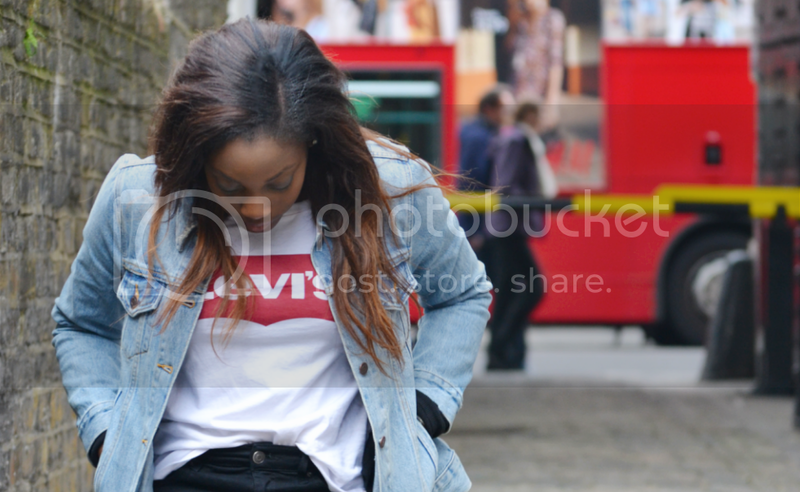 For the longest time we’ve joked about me buying my own Levi’s top, but naturally, I never got around to purchasing one. In the end, he bought this Levi’s top for me for my birthday a few weeks ago, along with the jacket (also from Levi’s). One of the best things about this purchase is that he had my blog in mind when he bought these two items – it turns out he has been listening to my constant whining about how I’m running out of outfits to shoot for blog posts – that, my friends, is what you call support. 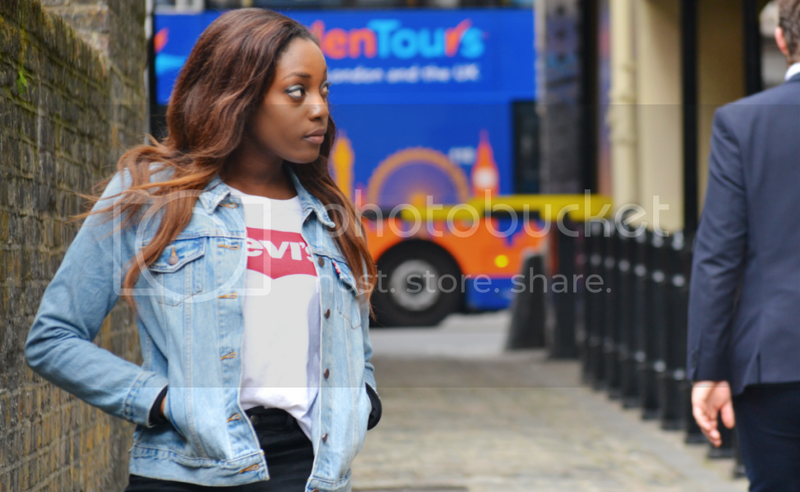 I paired this top and jacket with some distressed black jeans from Topshop. 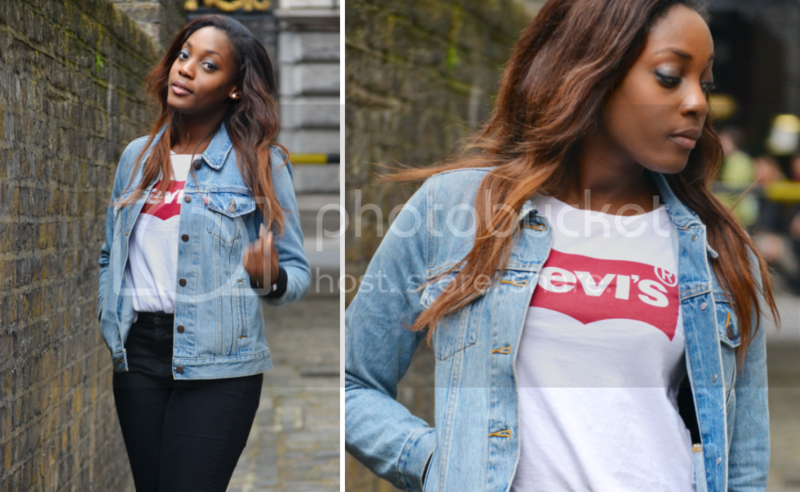 I also think these Levi’s items will work well with some plain leggings, wet look leggings or even a neutral toned skirt. I think these items would look good styled with anything apart from denim, as denim and denim isn’t quite the one unless you manage to really vary the shades. I topped everything off with my ASOS “Off the Wall” VANS – these are the comfiest shoes in the world, it literally feels like I’m walking on air, and seeing that I spent most of my time squashing my feet into boots, they are definitely a nice change. Another nice change will be styling for the summer, I am really eyeing up the ladies sandals and Birkenstock sandals from Jones Bootmaker. What would you pair denim jacket with? So cute for a casual day. Love it! I may even try it with a pair of heels and some sunnies. Love the outfit! 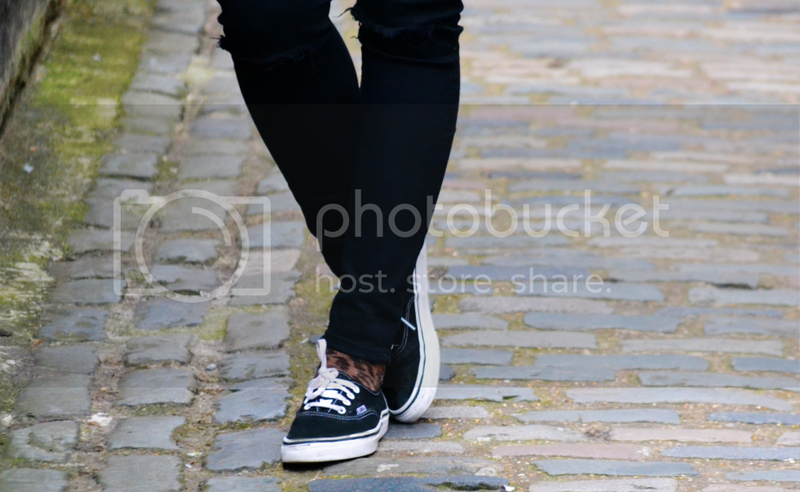 I really want those Topshop jeans, they’re lovely. It’s so funny that you have a shirt with his name on. I’m sure that’s gotta be such a cool benefit of being called Levi! Haha I think so, wish I had something with my name on it! Hm…I’ve not owned a decent denim jacket in ages, since junior high I believe. It was the early 90s so you can probably imagine what it looked like. 😀 I wore it with everything…but now I’m a bit more concerned with how I look, more interest in fashion. So…I’d probably pair a denim jacket with a cute little floral dress and a pair of metallic heels. Or a simple tee and a lace skirt. Honestly? The possibilities are endless. You look great! 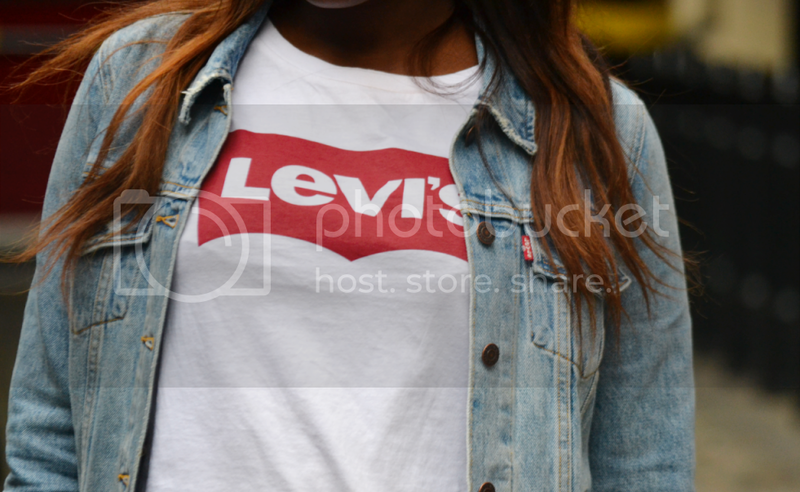 Love the Levi’s tee. Such a classic.